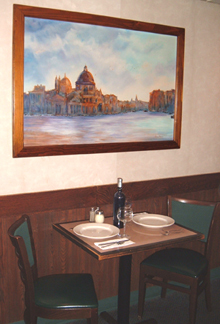 The Verona Village Inn is an authentic, home-style Italian restaurant. Since 1983 it has been the best kept secret of Verona, Penn Hills, Oakmont and Highland Park. The extensive menu, features full course meals all at affordable prices. Specializing in quality takeout meals! After a long day’s work, let us provide your home meal replacement solution. Our full menu is available for takeout - we also now feature family style meals to go. Don't forget if you're planning a party we also have a catering menu. The Ultimate Christmas Gift! Why not get your family and friends the gift of a great meal? 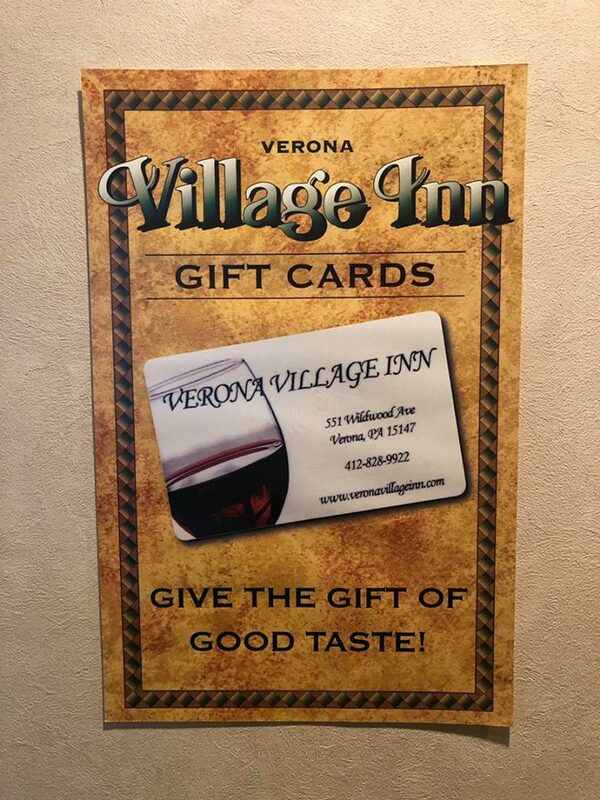 …Santa came early from the Verona Village Inn Family! Back by popular demand we have our GIFT CARDS again! *Only available in person, stop by and grab a bite to eat while you’re at it! WE WOULD LIKE TO THANK EVERYONE FOR YOUR LONGTIME SUPPORT. DO TO POPULAR DEMAND ALL OUR VEAL DISHES ARE BACK!